Paris Museum Pass Review & Guide- What Is It and Should You Buy It? Many cities these days offer tourist cards that visitors can buy to get free or discounted entrance tickets to popular attractions. We’ve bought these cards in a few cities and found that some are definitely better than others in terms of value for your dollar. In Paris, we decided to purchase the Paris Museum Pass, in hopes of saving money and skipping lines. 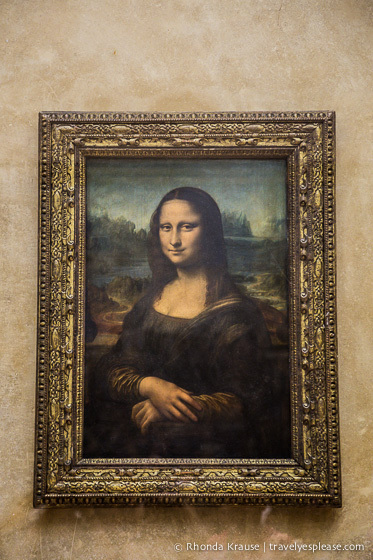 What is the Paris Museum Pass? The Paris Museum Pass is a card you can buy which gives you free access to over 50 museums and monuments in Paris and surrounding areas. As an added bonus, the pass also allows you to skip the lineups (but not at security checkpoints), allowing you to make the most of your limited vacation time. There are also no limits to how many times you can visit a museum- if you want to visit the Louvre twice, no problem! The Paris Museum Pass can be purchased for 2, 4 or 6 consecutive days. Each pass also includes a flyer with information about the places you can use it at. Note: The Paris Museum Pass is not to be confused with the Paris Pass. They are two different things. The Paris Pass is all encompassing and includes the Museum Pass, an Attractions Pass, a Travel Card, Bus Tour and Guidebook. The Paris Museum Pass only grants free access to museums and monuments, which is why it is far less expensive than the Paris Pass. Where Can I Use the Paris Museum Pass? 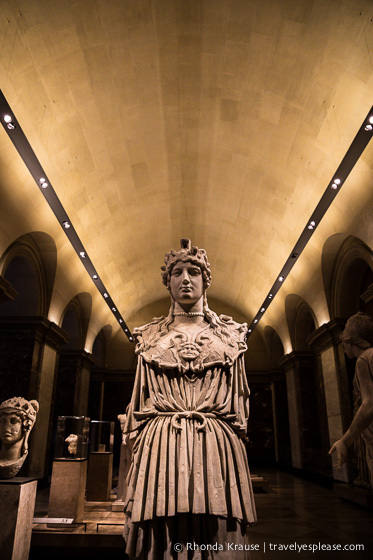 The Museum Pass can be used at many of Paris’ popular museums and monuments. This includes the Arc de Triomphe, the Louvre, the towers at Notre Dame, Sainte-Chapelle, Musée Rodin, Musée D’Orsay, the Pantheon, the Army Museum and Tomb of Napoleon, and many more. The pass can also be used at many participating locations outside of Paris including the Palace of Versailles and Château de Fontainebleau. Here is a full list of the 50+ attractions where you can use the Paris Museum Pass (note that the Eiffel Tower is not included). The Paris Museum Pass is very easy to use. To activate it, simply write your name and date on the back of the card. We recommend not writing the date on the card until the day that you will be using it. Remember, the pass will be valid for 2, 4, or 6 consecutive days, including the date you write on the card. Be very careful when filling in the card as deletions/alterations are not allowed. Once your name and the date is on the card, it is considered activated. Simply show your pass at museum entrances to gain free entry and avoid the lines at the cash desk. Note: There are a few places where privileged access is not allowed, the bell towers at Notre Dame being one. The pass also does not allow you to skip security lineups. How Much Does the Paris Museum Pass Cost? The Museum Pass can be purchased in advance on-line from the Paris Convention and Visitors Bureau, but you’ll still have to pick it up at the central Paris Tourist Office or pay substantial shipping costs. We recommend buying your Paris Museum Pass at one of the less popular participating attractions so you don’t have to stand in line as long. Buying the pass in person also saves on shipping costs and additional fees/higher prices that online vendors sometimes charge. Did We Save Money With the Paris Museum Pass? The Final Verdict: If we were to pay for all those entrance fees, it would have cost €47.00 each. Subtract the €42.00 we paid for the Museum Pass and we saved €5.00 each. The Final Verdict: If we were to pay for all those entrance fees in 2019, it would cost €54.00 each. Subtract the €48.00 price of the Paris Museum Pass and we would save €6.00 each. Overall, we found the Paris Museum Pass very easy to use. We loved being able to skip a few lines and were happy to save some money, even if it was only a few euros. It’s worth noting that we could have saved an additional €8.50 on our visit to Sainte-Chapelle, but we didn’t have time to visit within the two days our pass was valid for. In the end, we thought the Paris Museum Pass was worth buying as it included many of the places we wanted to visit during our trip, rather than a lot of sites we weren’t interested in. Should You Buy The Paris Museum Pass? The Paris Museum Pass is ideal for people who love culture and plan on visiting many museums. Before you decide to buy, write down a list of the museums you would like to visit and their entrance fees. Compare what you will spend on the pass, with what you will save by using it. When I was researching if the Paris Museum Pass would be of value to us, I was guilty of planning way more than we were actually able to see in a day. If we made it to the seven or eight places I had planned to visit on the two day pass, we would have saved so much money! It wasn’t realistic though. As it was, I felt like we were rushing around trying to get our money’s worth. As a rough guideline, I’d say budget for seeing two museums or monuments a day with the Museum Pass. If you’re able to see more great! The potential to save money is pretty good with the Museum Pass, if you plan it out well. For me though, the real value came from saving time waiting in line. I really dislike lineups, so even if we fell short of saving money by a couple of euros, I still would think the price was worth it to skip the lines, especially during the busy summer season. A downside of these types of passes is that they can limit your spontaneity. In the quest to get your money’s worth, you could end up rushing around and not fully taking in the experiences. Also, Paris is so much more than museums and monuments. There are a lot of great parks, cafes and neighbourhoods that are worth spending some time at. To get the most out of your pass, start your day early. When planning your Paris itinerary, take into account days of closure (usually Mondays or Tuesdays) and public holidays. Also, take advantage of evening opening hours (the Louvre is open until 9:45 pm on Wednesdays and Fridays). Children under 18 and EU citizens under 26 are allowed free access to most museums included in the Museum Pass, so there’s no reason for them to buy the card. We recommend buying your pass at a kiosk or tourist office, rather than at a popular museum like the Louvre. Chances are you’ll be standing in line there for quite a while, all just to buy a pass that would have let you skip the line! Don’t write the date on your pass until you are sure of your itinerary. After the date is on the card, it is activated and can only be used on consecutive days following the written date. Write carefully on your card as alterations could void your pass. Passes can not be returned or exchanged. For more information and a full list of where the pass can be used, visit the Paris Museum Pass official website. If the Paris Museum Pass is not right for you, here is a trusted site where you can buy advance tickets to Paris’ attractions (many of which are skip the line). Digital ticket delivery is instant and you can show your phone (in most cases) at the ticket holders entrance- no need to print your tickets. Purchases made through the included link earns us a small commission, at no extra cost to you, and help support this website. Thank you! For your convenience, here is a list of hotels in Paris. Please consider booking your Paris accommodations through the included link. It costs nothing extra and helps support this website. Thank you! Our guide to the best neighbourhoods in Paris for travellers can help you decide WHERE TO STAY IN PARIS.